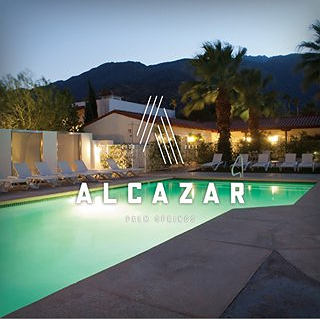 Set amidst galleries, shops and restaurants, this hip Spanish Colonial-style inn is a 14-minute walk from the Palm Springs Art Museum and 2.7 miles from the Palm Springs International Airport. The sleek, individually decorated all-white rooms have plush linens, flat-screen TVs, and eco-friendly bath products. Click here for a description of their rooms. A resort fee includes WiFi, parking and use of loaner bikes, as well as morning coffee and pastries. There’s also an outdoor pool and a business center, along with a casual farm-to-table cafe and an Italian restaurant and bar. They have specific rooms for pets under 40lbs.